With a growing population, Australia's various manufacturing industries are under more pressure than ever to deliver high-quality solutions in a quick and cost-effective manner – with the food sector no exception. According to the Department of Industry, Innovation and Science, this industry contributed 3.3 per cent ($53.9 billion) of the nation's GDP in the 2014-15 financial year. As well as this impressive figure, Australia's Food and Agribusiness industry employs more than half a million people. These numbers continue to grow, making productive solutions all the more welcome. Australia's Food and Agribusiness industry employs more than half a million people. One prime example was recently announced by the University of Nottingham, where researchers have developed an artificially intelligent cleaning system. 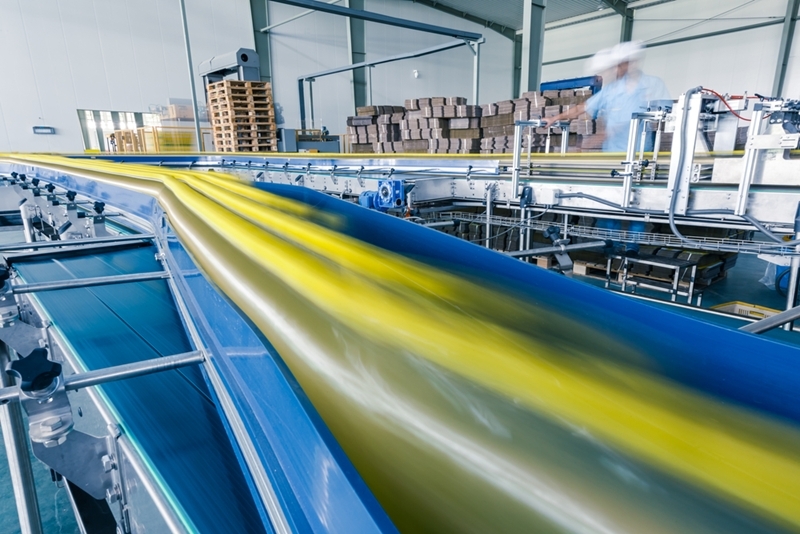 While it is still moving through the testing processes, the sensor-based system could have a number of benefits for the worldwide food manufacturing industry, including costs, productivity and water savings. The research project, in collaboration with Martec of Whitwell Ltd and Loughborough University, aimed to solve a common issue for food manufacturers – cleaning equipment. At present, the technology doesn't know how dirty the equipment is – leading to excessive energy, water and chemical use. University of Nottingham and assistant professor and chemical engineer Dr Nik Watson explained this in more detail. "To prevent product contamination, many food and drink manufacturers use a non-invasive, Clean-in-Place (CIP) system to wash inside food processing equipment without disassembling it," he said. "As CIP has to operate 'blind', it is designed for the worst case scenario. In daily use, this often results in the over-cleaning of production lines." To combat this problem, the sensor on the new system will identify how much dirt and grime is on the equipment and adjust the cleaning process accordingly. Of course, while this innovation is still in its testing phase, it does highlight how businesses can develop more productive systems of their own in the future. If Australian food manufacturing enterprises want to continue to deliver safe and consistent products to their clients and customers, these are technology advances that can make all the difference. Is your business driving innovation and development? Innovation is at the cornerstone of business development. Without smart ideas and logical solutions, areas such as manufacturing and mining wouldn't continue to be productive sectors in the Australian economy. However, noting the above UK example, Australian businesses do need to be more flexible and open to new ideas. In April, Deloitte published the 2016 Global Manufacturing Competitiveness Index, which illustrated this fact. Between 2013 and 2016, Australia fell five places to 21st in the manufacturing competitiveness rankings. Deloitte Australia Tax Partner and Manufacturing Group leader, Damon Cantwell explained that there is potential. "We are simply not getting the message out – Australia is competitive in the majority of the global drivers of competitiveness such as talent, the supplier network and our innovation infrastructure, but this is not reflected in our ranking," he said. How can SRO technology support innovation? For innovation to flourish in Australian food manufacturing businesses, there is a need to ensure all processes are working effectively and properly. Even if enterprises adopted innovative solutions, it could be undermined by outdated production processes. This is where SRO Technology can help. Using our innovative checkweighing systems, your team can ensure that all packaged and unpackaged products are both high-quality and clean – providing peace of mind to your customers and clients. Food is such as important part of society and our economy, so it makes sense to create sound processes that can lead to further development and growth. If you would like to learn more about our offerings and services, feel free to get in touch with our expert team today.